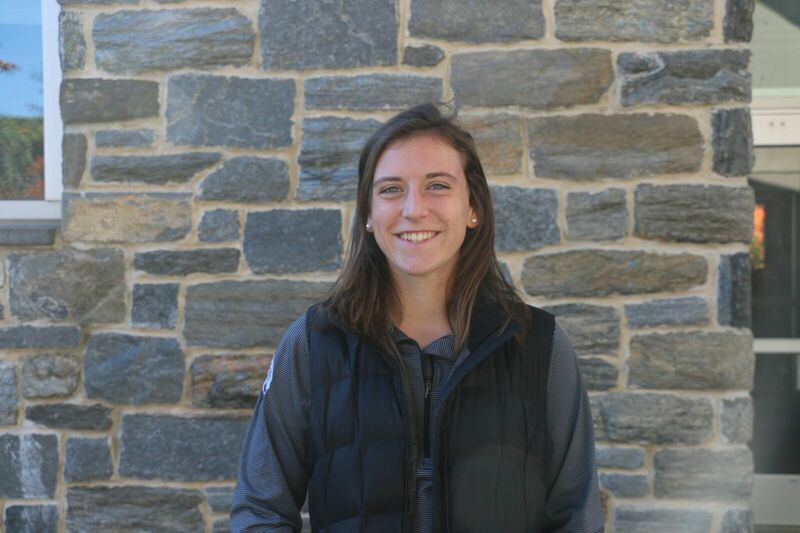 Swarthmore women’s soccer continued their streak of Centennial Conference dominance last week, wrapping up a second consecutive conference championship with a pair of blowout wins. Last Saturday, the Garnet knocked out No. 3 seed McDaniel College with a 5-2 win. The following day, the Garnet faced tournament host and No. 1 seed Johns Hopkins in the championship game. Hopkins entered the game ranked fourth in the nation and was considered the favorite to outside observers. However, the Garnet took them down with ease, completely dominating the game on both sides of the ball on the way to their 5-1 win. Key in both victories was Brittany Weiderhold ’20. The junior from Downingtown, PA scored goals in both contests, raising her season total to eight, which has doubled her total from her freshman and sophomore seasons combined. She’ll be a key part of the Garnet’s path to the national championship, which starts with a home matchup Saturday at Clothier Field against Saint Joseph’s College of Maine. Jack Corkery: What is your major, and what made you choose it? 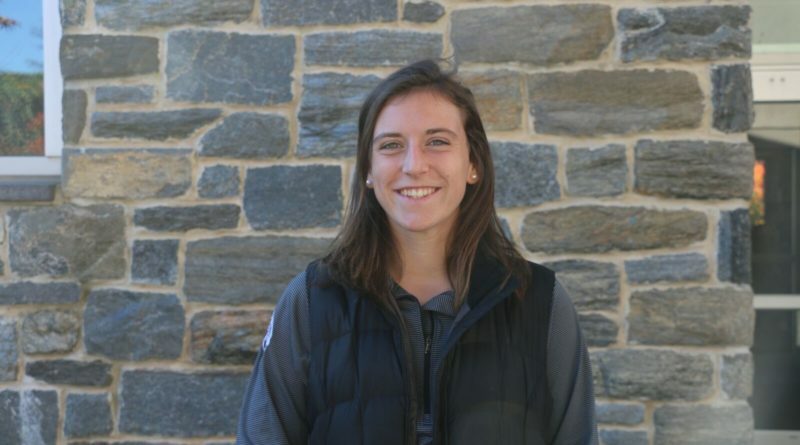 Brittany Weiderhold: I am a biology major here at Swarthmore. I’ve always had a passion for the biological sciences, and there are so many opportunities to pursue in this area of study. I really enjoy working with children and intend on pursuing some type of career that involves both biology and younger children. BW: I live 40 minutes away from Swarthmore and had no idea this beautiful place existed until I came to a soccer clinic. From the moment I stepped on campus, I knew this was where I wanted to spend the next four years. The campus’ beauty took me aback. I was in awe of the buildings and the fact that it was an arboretum. The girls on the team were very friendly, and I found it quite easy to chat with them about all things Swarthmore. Coming from a very rigorous high school, I also knew that Swarthmore would challenge me academically. JC: What is your favorite Swarthmore soccer memory? BW: This one’s a tough question because every day is a memorable day on the soccer team. Although it’s fairly recent, my favorite memory is beating Johns Hopkins 5-1 in the conference championship. Not only was it an incredible win, but the women’s soccer team made history with this win. It’s the programs first time ever winning back-to-back championships and from my knowledge, we’re one of the few teams that have ever scored that many goals against Hopkins. It’s also a memorable game because our five goals came from five different players, truly showing the depth of the team. JC: What was it like to win the Centennial Championship in such a blowout? BW: This past weekend was such an incredible experience. Last year, we struggled against Hopkins in the conference final but we proved this year that we are a better team and we are continuing to improve each and every season. We played our hearts out in that game and the energy both on and off the field contributed significantly. This was definitely an amazing win to lead us into the postseason and I, along with my teammates, can’t wait for what is to come. JC: What is the biggest difference between this year’s team and last year’s team? BW: I would say the biggest difference between this year’s team and last year’s team is health. Last year, we suffered from a lot of injuries that left players out for weeks to months at a time. This year, we have been fortunate enough to avoid those. Having such a healthy team is really beneficial because it enhances the competition and this directly translates onto our field play. JC: What changes have you made this year to score so many more goals? BW: I came into this preseason with a lot of more confidence than previous years. I trained all summer working on my ball skills and fitness and felt pretty prepared coming in. I used to play outside mid[field], and still occasionally do, but being repositioned as a forward has also helped me with scoring goals. I have a lot of incredible competitors on the team who push me each and every day at practice, so I feel like this influence has really contributed to my goals this year as well. JC: How does the team feel about being able to host the NCAA playoffs? BW: If you haven’t seen the video on Instagram or Twitter, the team is super stoked to host the first and second rounds of the tournament — Yaz (Yasmeen Namazie) even took a spill for it. We accomplished so much in the regular season and set ourselves up well going into this NCAA tournament and I believe we definitely deserve to host. I know there will be a lot of energy this weekend and having it at home gives us a certain advantage because we are familiar with this field and get to save time that would have been spent traveling. JC: What should the fans watch for on Saturday? BW: I think fans should expect to see a high energy game on Saturday. I actually lost my voice from cheering so much this past weekend, and I am completely ready to do it again. We plan on going into this game with a lot of intensity and fight because at the end of the day, we really want that national championship title.